Delhi University Entrance Test (DUET) 2019 PhD in Psychology Question Paper with answers DUET PhD in Psychology Question Paper 2019 with solution you can download it in FREE, if DUET PhD in Psychology Question Paper 2019 in text or pdf for DUET PhD in Psychology Question Paper 2019 Answer Keys you can download DUET 2019 page also just Go to menu bar, Click on File->then Save. 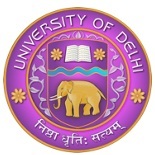 Delhi University Entrance Test (DUET) 2019 PhD in Psychology Question Paper with Answer Keys Free Download PDF is available in www.oldquestionpapers.net which has been provided by many students this DUET 2019 paper is available for all the students in FREE and also DUET PhD in Psychology Question Paper 2019 fully solved DUET with answer keys and solution. You can get daily updates on DUET 2019 from www.oldquestionpapers.net here you can also check similar links for other related study materials on DUET PhD in Psychology Question Paper question bank 2019 is also available in English and Hindi Language. Q3. Which of the following statements about correlation coefficient is NOT true? Q4. Which of the following terms is used to explain the evolutionary advantages of helping unrelated individuals?